The R. Jamieson and Betty Williams Professor of Electrical Engineering and Computer Science, and former vice president for research at the University of Michigan in Ann Arbor, Dr. Fawwaz T. Ulaby is one of the world’s foremost authorities in radar remote sensing. In 1968, when he was an assistant professor at the University of Kansas in Lawrence, he obtained a small grant to start a research program that, over the next decade, became the world’s leading team for measuring and modeling complex, inhomogeneous terrestrial media. A critical edge to his success was his design and use of radar spectrometers, which allowed his team to develop optimum design configurations for specific radar applications. The extensive database from this program became a gold mine for theoretical modelers, allowing them to verify the applicability and predictability of their mathematical models. This radar database became the reference standard for the U.S. National Aeronautics and Space Administration, industry and military laboratories. Dr. Ulaby was involved in the design and data analysis of several space flights that, in addition to providing a wealth of scientific information, led to a new industry that supplies radar-derived information to the timber and oil industries. 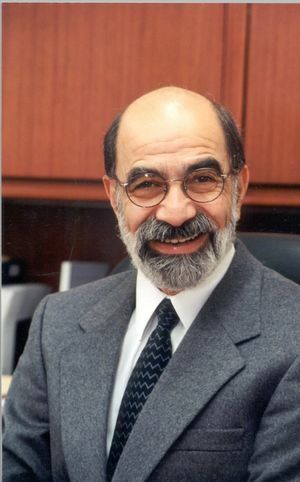 In the mid 1980s, as a professor at the University of Michigan in Ann Arbor, Dr. Ulaby began exploring the terahertz (THz) portion of the electromagnetic spectrum. During the next decade he worked with a research team that developed the micro-electronics for a suite of circuits and antennae for THz sensors and communication systems. Today, THz technology is a major player in new types of industrial sensor applications. An IEEE Fellow and member of the National Academy of Engineering, he is the recipient of the IEEE Millennium Medal, the IEEE Centennial Medal and the IEEE Electromagnetics Award. This page was last edited on 14 September 2017, at 14:59.